Triumph Street Triple R ABS 2013-2015 lowering kit. Lowers the rear suspension by 1.4″ inches and lowers the seat height. Easy installation by following the installation instructions that comes with the kit. Replace the suspension linkage brackets with the new lowering brackets in the kit. 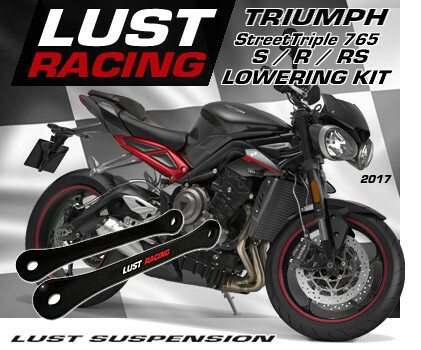 Triumph Street Triple R ABS 2013-2015 lowering kit. 1.4″ inch lowering by replacement of the suspension brackets with these lowering brackets made in roll forged steel. 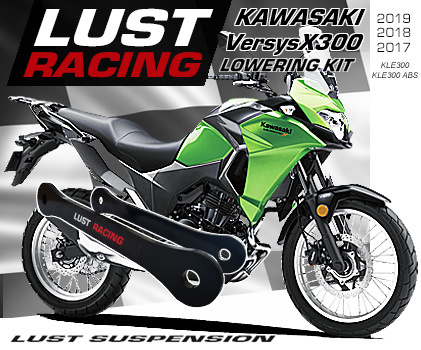 This is a top quality lowering kit made in England by Lust Racing, Europe’s leading manufacturer of high quality motorcycle lowering kits. 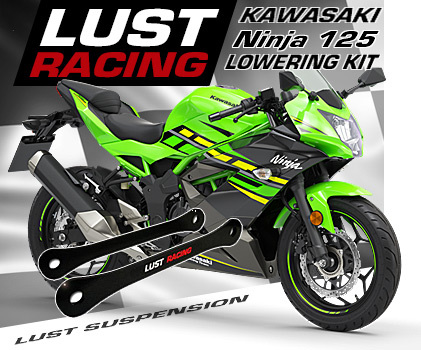 Engineered and dimensioned to last the lifetime of your Street Triple this lowering kit is the way to go if you want to lower the seat height of the bike. The lowering kit is supplied with detailed and easy to understand installation instructions, the parts are clearly marked for correct installation as shown in the instructions. Lowering the rear suspension will reduce the seat height making it easier for short riders to reach the ground properly with both feet when stopping at red traffic lights. By lowering the bike also the center of gravity is lowered so the bike is easier to balance. In addition the high speed stability increases and the rear wheel traction improves. This is a must have accessory for all short Triumph Street Triple R owners. Note that this kit is for year models 2013 and newer Street Triple 675R models with or without ABS ( we have lowering kits for the earlier models elsewhere in the shop). *Free shipping offer valid only in combination with purchase, terms apply, please see our terms of sales.